FEATURE — Sara is a 32-year-old mother of three beautiful kids, and with her husband’s new job and a sister that lives close enough to visit regularly, one might say that life is pretty good. However, she also suffers from severe fatigue ever since the birth of her second child, as well as migraines at least twice a month like clockwork. Her doctor had spent extra time with her during her last visit – a full 12 minutes – but in the end, the medication he gave her only slightly helped. She felt like half the person she was just a couple years before. Was she just getting old? Is this how life would be from now on? Sara is not alone. Over 35,000 people in Washington County – mostly women – suffer from thyroid problems, migraines and fatigue. That’s a lot of tired women, but fortunately, changes are on the horizon. The game of a pill for every ill is yesterday’s health care. There are some great things in medical literature, but on average, it takes up to 17 years for medical literature to make its way into medical practice, and most of today’s medical doctors can’t tell you the 25 different ways the thyroid pathway can break down. Unfortunately, Sara’s doctor was one of those. This is where the new form of health care known as functional medicine comes in. Over the last 10 years, Sara and many others have found life again in St. George at Balanced Health Care. And then they do it. Where pharmaceuticals cover up problems, functional medicine digs for the answers to correct them. Each person is unique, and so each approach is unique to the patients needs. Sara soon discovered this in her first 90-minute appointment with a functional medicine provider. After her initial blood work, looking at 75 different health markers and assessment, the physician ordered a test to look at her biochemistry genetics. This test mapped out her genetic weaknesses with methylation (how the body uses B vitamins), inflammation, autophagy (body’s ability to clean up unwanted messes), gut health and detoxification, among others, and it was found that she had two forms of autoimmunity and problems with inflammation. Her plan of care involved some easy things she could implement at home, along with some in-office appointments. The approach was designed to help balance out her immune response and hormones. In the meantime, she was able to get off her medications, started sleeping better and seemed to have more energy as the weeks passed. About three months into care, she also started NUCCA chiropractic, which took care of some neck and low back problems she had “just learned to live with” after her last pregnancy. Her migraines started to ebb and occurred less often. 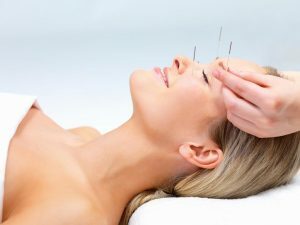 As she added various sessions of acupuncture throughout her care, those migraines disappeared, and it helped balance out her adrenals. Today, Sara is now pregnant with her fourth child and states that she “feels like she is 20 again.” When asked about this pregnancy, she said that getting pregnant this time wasn’t a problem as it was in the past. Even though she is in her third trimester, she is very comfortable. With the help of acupuncture, functional medicine for keeping her inflammation down and the help of maternity chiropractic at Balanced Health Care, she has her life back. When it comes to cases like Sara’s, the bottom line is, if your doctor can’t quickly trace out the thyroid pathway, they probably shouldn’t be testing and prescribing thyroid medications. If they can’t give you some options that aren’t drugs to help with your current situation, you need a new doctor. After all, do drugs really ever make anyone healthier? 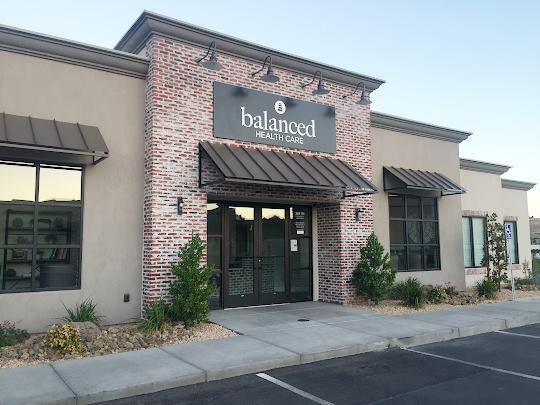 WRITTEN BY Dr. Brent Noorda, Balanced Health Care, St. George.